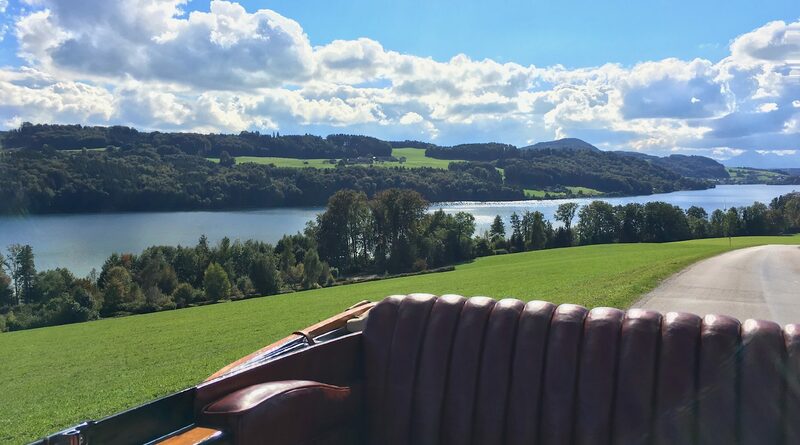 Have you ever taken a spin around a lake in a 100-year-old antique car while the grandson of the legendary Ferdinand Porsche tells you stories from his grandfather’s life? Have you ever sat inside a car that was built for Emperor Franz Josef himself? Or did you know that Austria’s fastest electric boats were built in the Salzburg Lake District, which also happens to be a true paradise for boat aficionados? No? Then join me on a trip to the Mattsee lake and get to know this hub for vehicle manufacturing on land and water alike. 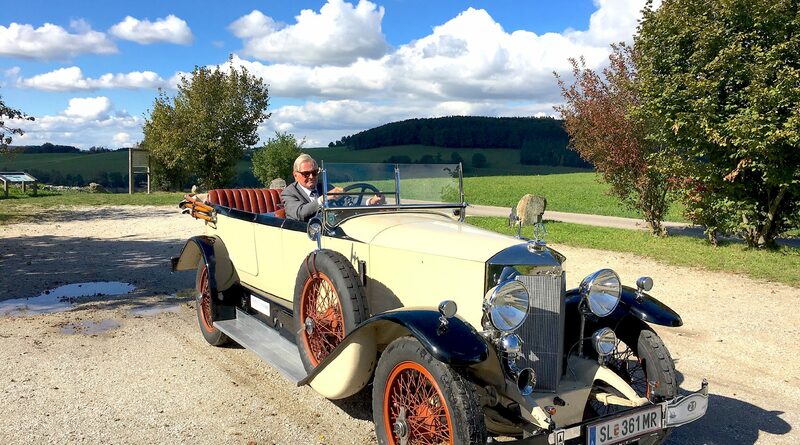 Come with me and visit Ernst Piëch’s incredible fahr(T)raum museum, take in the region’s beauty from the backseat of an Austro Daimler and let us say hello to Hermann Steiner from Steiner Nautic in his shipbuilding workshop. The Salzburg Lake District, with its four deep blue lakes, the gentle hill landscape and the picturesque towns built right by the water, is one of those regions I like to visit over and over again and experience extraordinary moments. 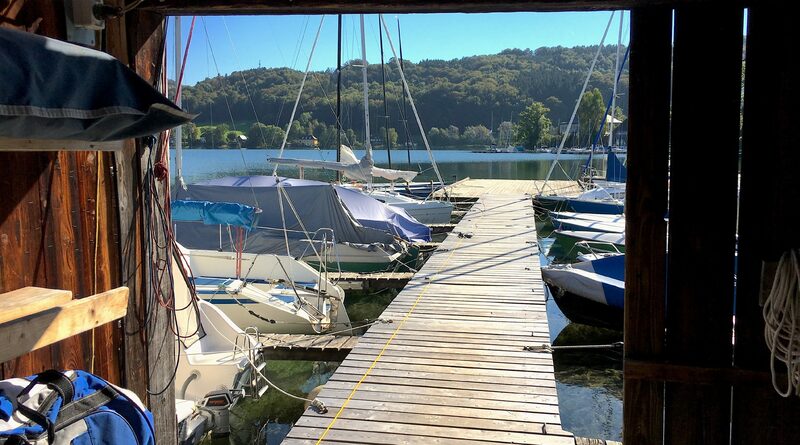 Whether at the beautiful and cosy outdoor swimming facility at Mattsee lake, where you can enjoy the summer in all its glory, the pretty places around Wallersee lake, or with a cold drink while taking in the sundown right at Obertrumersee lake. However, it was only on a Saturday last August when I found out that Mattsee lake is also a central hub for car and boat manufacturing. A visit to the fahr(T)raum museum, a kind of car manufacturing theme park located directly in the town of Mattsee, has been on my bucket list for a long time. Finally, I decided to go and see Ernst Piëch’s collection of historical cars that he has brought together here in the Lake District and made available to the public. Piëch, incidentally, also happens to be Ferdinand Porsche’s grandson and a genius car builder in his own right. Supposedly, his collection is mainly made up of the “Austro Daimler” brand, as well as tractors, all designed by his grandfather. I’ve heard many great things about his collection, so you can imagine my excitement. I can’t believe my eyes when I finally face the entrance to the snow-white building, a former shoe factory, meticulously rebuilt by Piëch and his team. And that sense of astonishment would accompany me for the rest of the day. But one thing after another. Perfectly restored antique cars guide visitors and sparkle in the sun as if wanting to compete with the Mattsee lake not too far away. The elegance, the grace, it’s simply unbelievable. Inside of the fahr(T)raum museum, everything revolves around the work of Ferdinand Porsche and his immense contribution to the development of motorised mobility in the 20th century. Many of the things that we take for granted today would have been impossible without the visionary’s work. Curiously, I continue to read the many information displays, looking at every single one of the many videos, looking deeply into the engine compartments of the wonderful exhibition pieces and testing my skills at the driving simulator as well as the lovingly crafted slot car race track. My astonishment must have been rather obvious because just as I move closer to one of the bulkier cars, I hear a friendly voice behind me saying, “This one was built specifically for the emperor, even though he preferred to drive around in horse carriages for most of his life.” Surprised, I turn around and see the friendly face of an older gentleman, with the awakened and curious eyes of a young man. “Ernst Piëch,” he introduces himself, looking at my probably rather surprised-looking face. “You don’t have to introduce yourself,” I say, “it is a great honour, Mr. Piëch. Incredible what you have put together here.” “I’m very glad that you like it,” my host responds before asking me if I would like to go on a tour around the building. An offer which I, of course, accept. I’m told stories on almost every single exhibition piece, I learn that Porsche was a speedy driver and that he piloted many of the race cars on display here across the finish line himself. How about that for tangible history! Laughing, Ernst Piëch also tells me how he was taught to drive by his grandfather and that he did get the occasional spank if he failed to engage the right gear. It’s amazing to hear such anecdotes from the life of a legend on a first-hand basis. The fahr(T)raum museum, so my guide tells me, served to fulfil a long-held wish to bring all of his cars together in a single space. And there are quite a few of them that he managed to put together over the years. As mentioned before, they are mainly Austro Daimler models, all created by Porsche himself. Among them is also an Austro Daimler 28/32 from 1908, which belonged to archduke Leopold Salvator. My personal highlight, however, is a Lohner Porsche from 1901, a hybrid car with an electric and combustion engine. Crazy! They already had electric cars back then, and they’re not far removed from today’s e-engines in terms of their basis technical design. © SalzburgerLand Tourismus – Peter Zeithofer – That pure driving and living feeling! After showing me his collection of historic tractors in his “Traktorstadl” (tractor barn) in the basement, which were crucial for the automation of the agricultural industry in the ‘50s and ‘60s, Ernst Piëch suddenly asks me out of the blue: “Have you ever gone for a ride in a car like this? 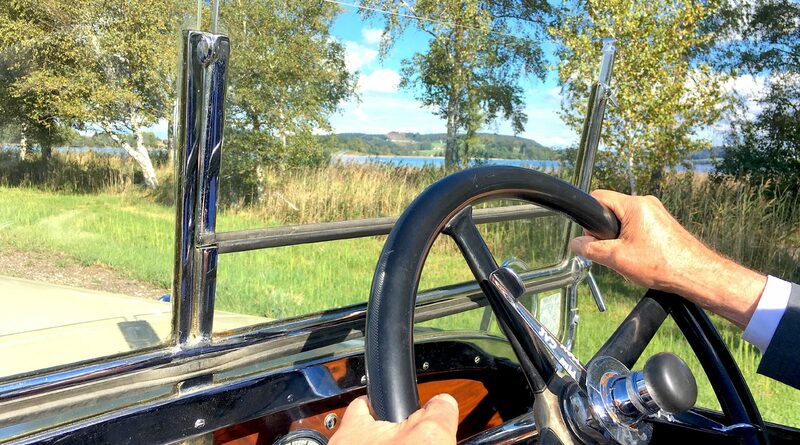 I’m going to go for a spin around the lake shortly.” I shake my head to say no and a few minutes later we’re inside the spacious garage where our vehicle for the next hour, another “Austro Daimler”, is being brought outside for our ride. I already read at the entrance that every car here is fully functional and that visitors had the opportunity to fulfil their dream of going on a ride in one of them. A ride with Ernst Piëch himself, however, is an entirely different story. The wind blows through my hair as we make our way around the turquoise lake in the convertible. What a delight! People keep waving at us, take pictures and take immense pleasure in the sight of such a historic car. To my question, why exactly he chose the Mattsee lake for his museum, Piëch answers saying that he has owned a house here for a long time and that his family loves spending time in this wonderful area. I can see why. It is truly mesmerising here. Down at the lake, people are mingling at the outdoor pool, sailboats are taking advantage of the wind power and a few electric boats glide along the shore. What a day! After around an hour, we return to the fahr(T)raum museum and my driver and host bid farewell to me with a casual “Why don’t you come visit us again?” Without a doubt, I will most definitely come back. To digest this fantastic experience, I take a walk to the lake. After all, it’s only a few steps away and after a few minutes, I am already at the shore. I sit down on a pier, dip my feet into the warm water and look at the goings-on on the lake as well as on land. Then, a boathouse suddenly catches my attention. Several sailboats dock there, sail away again, only to return shortly after. It appears to be a sailing school, where the docking during windy conditions and without the help of an engine is being practiced. With much delight, I remember my first steps on a sailboat and the fun we had as teenagers during our summer sailing lessons. 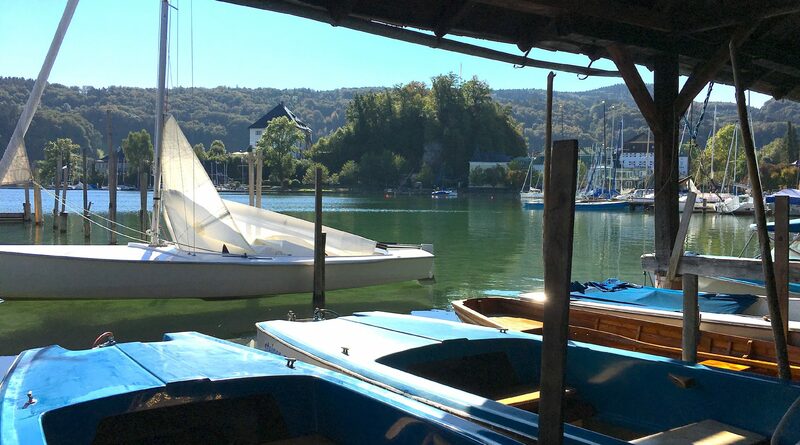 Slowly, I start wandering toward the boathouse, look at the beautiful sailboats parked by the piers and secretly peek under a cover or two in order to admire the boats underneath them. At the boathouse, I suddenly stand in front of a whole lot of different boats. Various sailboats, motor boats and a whole series of different electric boats. Curiously, I take a closer look at them. Something that doesn’t appear to go unnoticed, because shortly after a nice man approaches me and tells me that many of the boats here were built by himself. What do you mean? But these are all very different types of boats, surely they can’t all have been built by a single person? Laughing, Hermann Steiner, the owner of the building and the company Steiner Nautic Bootsbau, guides me across his holy docks. 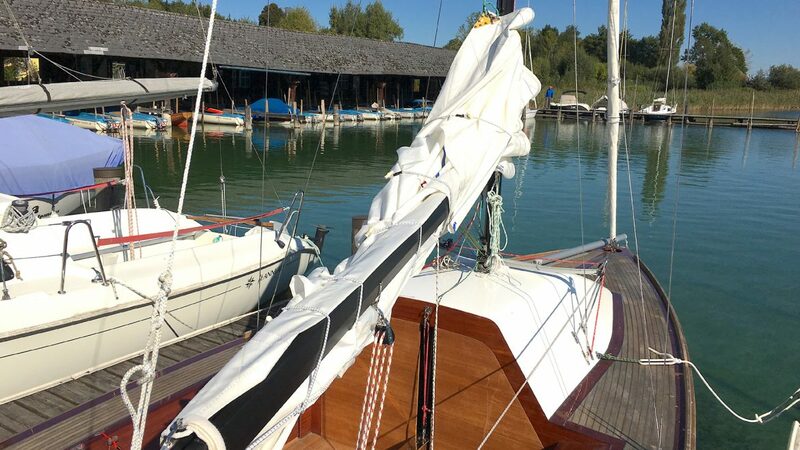 Many treasures can be found here, such as sailboats built for the in-house sailing school, the prototype for a new motor boat, various e-boats, among them the fastest e-boat in Austria, and many other water-based vehicles that are guaranteed to make any boat aficionado’s heart beat faster. 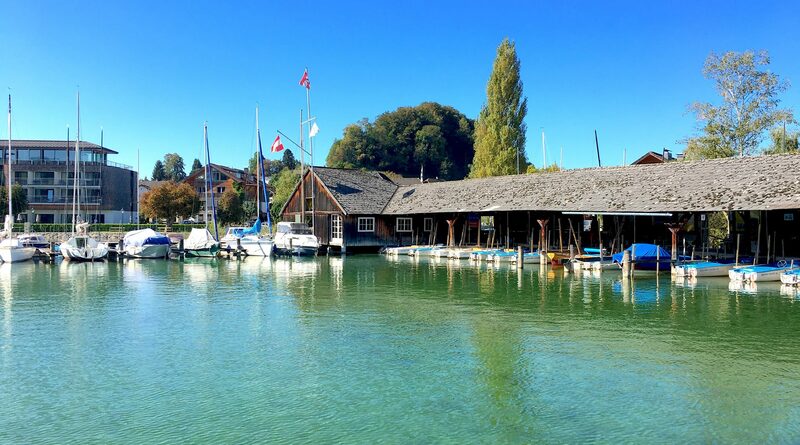 © SalzburgerLand Tourismus – Pure boat-bulding passion on the Mattsee. After spending quite some time at the boat house and outing myself as a passionate sailor whilst also asking all the right questions, Hermann Steiner takes me to his boat building workshop on the other side of the street. As per the slogan “This is where the magic happens”, boats are built and repaired here and new ideas are experimented with. Many former motor boats are currently being rebuilt into electric ones, says the entrepreneur. Steiner is not only passionate about building boats but also ships in general. The family has been building boats for more than 100 years, since the year 1898. Later on, Mattsee lake boat excursions and the sailing and surf school were added on top of that. Slowly, we stroll back to the boat house and arrange to meet one more time for some sailing, and say goodbye with a friendly handshake. Mattsee lake has presented itself from an entirely different side to me today. Just as it has done many times before and, hopefully, as it will do again in the future.